We all saw it coming. Gods of Egypt was a disaster from the start and its release date was simply the culmination of controversy, terrible trailers and awful reviews. It seems unfair to say we never really gave the film a chance, but let's be honest: we never gave the film a chance. Months before it would even hit theaters, director Alex Proyas was apologizing for the predominantly white cast portraying Egyptians. When the focus of the marketing campaign is centered around an apology rather than any sort of ancitipation or excitement, it's fair to assess that trouble is brewing. When the film screened for critics and the response was overwhelmingly negative (as expected), Proyas could have taken the high road and accepted the criticism. He didn't. Honestly though, I sort of get it in a big picture sense. 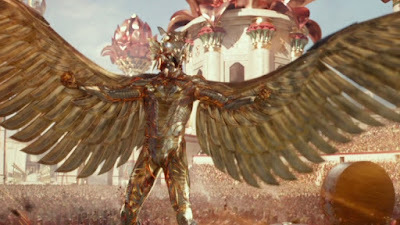 Not that film critics deserved to be referred to as "diseased vultures pecking at the bones of a dying carcass", that a filmmaker would stoop to that level with such a public comment is just juvenile and sad, but the failings of Gods of Egypt are much bigger than just one bad film or one studio losing money. 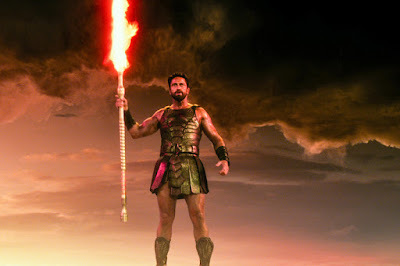 Despite some critical success in the past for crafting films like The Crow and Dark City, Proyas had not released a film in seven years and the fact that 140 million dollars was inexplicably poured into the production budget of Gods of Egypt meant that his career was certainly taking a major hit with such a failure. Each negative review must have felt like another kick in the gut, and for that I empathize with him. Now that I got that out of the way, let me provide a kick of my own: Gods of Egypt is an atrocious film. It's awful. The characters and the dialogue they speak, the terrible visual effects that had me paying more attention to just how noticeable the green screen was than the actual action sequences, the casting that not only was whitewashed but also just misguided in terms of putting halfway decent performers on the screen. It's all so bad, and the result is an unintentional comedy that is laughable even when the film asks you to keep a straight face. It's not possible. I couldn't take a single moment seriously. Strangely though, the fact that Gods of Egypt is such a poor film made it oddly appealing at times. The type of material that taps into the part of me that loves to relax on a Sunday afternoon and watch an original film on the Lifetime Channel or the Syfy Network and laugh at the ridiculousness. Don't get me wrong, no matter how much fun it was at times to witness this mess unfold, I never actually enjoyed the ride. With one of those straight to cable films, the poor acting or uninspired script are forgivable because we know they had very little resources to work with from the beginning. A 140 million dollar production budget and this is what came from it. Baffling. Apparently Lionsgate had the idea that Gods of Egypt would be the start of a new, highly successful franchise for their studio. Maybe they didn't, but we all saw this coming. What we will never see is a sequel. Thanks for watching and taking the hit for all of us. After I saw that first trailer, I had seen enough. It was strangely worth it? I mean, it was so bad, but I laughed more than I do during some mediocre comedies. Scenes of characters running away from giant creatures with the least convincing effects work I have seen in some time = really really funny.